As the new year steadily approaches, I find myself trying to come up with the "best" resolutions in order to make the most out of 2014. In reality, each day should be a day for me to improve myself in some way or other. As human beings, we have the potential to continue to be better and better. If you aren't trying to improve, then what are you doing? Is there really nothing you could do better at? Too generic - any goal you set should be specific. I think this is the most important part of your goal. "Lose weight" is far too generic. How much weight? By when? How will you accomplish this? One of my resolutions is to lose 3 inches around my hips this year, and I have planned out a dietary and exercise plan. Unobtainable - Can you actually achieve what you set out to? It should be a challenge, but one that is in the realm of possibility. Too easy - the other end of the spectrum is that your "resolutions" are ridiculously easy. They should be doable, but with a good amount of effort. In any case, say you want to improve yourself, but not necessarily set resolutions. That doesn't mean you will remain stagnant. Often, the biggest overall improvements start with little changes. Small steps that add up over time. If that's more your style, I highly recommend it. Eat the healthier parts of your meal first (fill up on the good stuff). Eat more green, nutrient-dense vegetables. Drink 8 cups of water in a day. Go for a walk 3 times a week (to start). Fix the toilet seat cover. Install shelves in storage closet. Honestly, it all depends on what you are currently doing. Just do a little bit better each week and it will really compound into HUGE results over time! A while back my husband began what he referred to as the Ketogenic diet. The Keto diet is similar to a Paleo or caveman diet, with slightly varied restrictions. Basically, you give up almost all carbohydrates from your diet. This includes all sugars and starches (even from fruit and whole grains). When he first described it to me, hoping I would join him, I thought my husband was crazy. Me? Give up my favorite breads, sweets, and most of my favorite fruits? Good luck! However, as he continued it (and with great success, I might add) I started looking into the specifics of Keto. After researching a bit, I decided that it was worth a shot. I dove right in with a six-week stint (and documented my experience here) and I was convinced! Because I found very little information regarding breastfeeding women on a ketogenic diet, I decided to try to post as much as I could about it! Update: Over a year and a half later, I still stand by the benefits of a ketogenic lifestyle. If you are a breastfeeding mother with a child over 4 months minimum (I'd recommend 6 months if you've had supply issues), I say go for it, all in. If your child is younger, or you've had some recent issues, I recommend you go into maintenance mode - which basically means you restrict yourself to 100 grams of carbohydrates in a day, rather than the typical ~25. By doing this, you will be going through a less-drastic change, and will be less likely to have a huge impact on your body. In any case, you might consider starting at 100 grams, and slowly decreasing that over time if you are hesitant! Time for a couple more recipes! This dish is fantastic. We will be making this again next week, I can guarantee it! Since my little guy is sharing most of our meals, for his portion I skipped salsa and jalapenos, and added a little extra sour cream for the heat of the chipotles. We had some extra zucchini one week and I had to use it up before it spoiled. I had occasionally seen recipes for zucchini flapjacks and decided to wing it and try to make some myself! Mix the zucchini, salt, pepper, and onion powder, and stir together with the egg. Heat a pan on medium-high with some of the butter in there. Each flapjack was a couple of tablespoons of zucchini mixture. Heat for ~3 minutes, then carefully flip over. Cook for another 3 minutes or so, then set on a warm plate while you cook the rest. Did you try these recipes? Tell me what you think! As we try and battle this picky toddler stage, I find myself trying to find different ways to get more nutrients into Nathan's daily diet. Muffins are convenient, portable, and pre-portioned! One issue I took with many of the popular muffin recipes I find online is the high amounts of sugar and low amounts of vitamins. So, if you want a big more bang for your nutritional buck, try a few of these substitutions with your favorite recipes. Substitute some (around 1/3) of your flour for flax meal. Also, because flax can absorb quite a bit of liquid, add ~2 TBS extra liquid to your recipe to make up for it. Add 1 cup of shredded veggies - zucchini and carrots work very well. They don't take over the flavor too much and add vitamin C (zucchini) or vitamin A (carrots). Shred them extra-small for particularly picky eaters. Also, zucchini contains lots of water, so you could reduce some of the liquid in your recipe ~2 TBS to make up for it (if you do this AND sub in flax meal, it breaks even!) Or, you could lay out the shreds on a paper towel for a couple of minutes to dry them off a bit. Reduce the sugar. So many muffin recipes have dessert-worthy amounts of sugar, when I always thought muffins were supposed to be healthier than cupcakes. 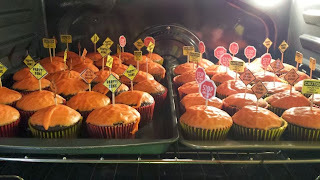 I have been able to cut sugar amounts in half and had no problem getting the little guy to eat the resulting cupcakes! -Preheat oven to 350 degrees F (175 degrees C). 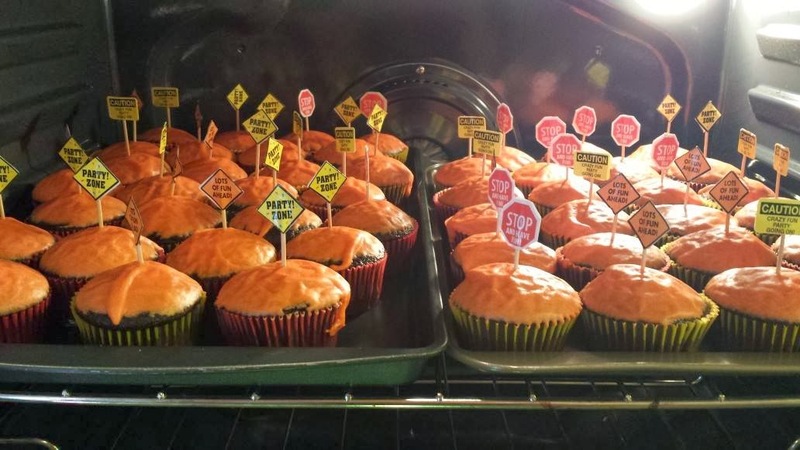 Spray or grease a 12 cup and 6 cup muffin tin. -Mix together the flax meal, flour, sugar, baking powder, baking soda, orange peel, nutmeg, cinnamon and ginger. -Add shortening; stir in juice, vanilla, eggs, cranberries and zucchini. Pour into muffin cups and bake for ~25 minutes. Having a picky eater can be frustrating. Heck, BEING a picky eater (this is coming from experience) is frustrating and a little embarrassing. There are quite a few things that can be done to help prevent it, or to overcome the picky toddler stage. Constantly offer your little one foods of all sorts and varieties. This means that they don't eat the same meal all the time. It's one thing to pull out the old classic macaroni and cheese once a week or so, and quite another to have that each day for lunch. If you get your children used to trying new foods, it will continue to be less of a struggle. On the opposite end, if you only feed your child the same foods, they could start to prefer ONLY those foods. At a certain point in toddlerhood, your child might start to be picky. This comes from a smaller requirement for calories as their bodies are settling and growing less, physically. It is ever so easy to just want them to eat something, anything. They are probably starving! The poor thing. Kids won't starve themselves. Offer them a variety of healthy foods (maybe 2 or 3 items) and let them eat whatever from those options. I like to give a variety that includes protein, vegetable, and dairy, and follow up with a fruit. If he absolutely refuses to eat something, he must at least try it before I give him something else. I require the little guy to try 2 bites of something, and then he can decide whether or not to eat the rest. The first bite is often swallowed so quickly because he "doesn't like it", that it is barely (if at all) tasted. The second bite helps him to actually taste the food and give him a chance to like it. They say kids won't officially "like" something until they've tried it ten times. So keep offering it, and keep having them take little bites. At least for my little guy, if he sees his parents eating it he'll want to eat it as well! Much easier to get him to try something we are eating. Do not make mealtimes stressful. It is easy to get frustrated and want them to JUST EAT THE FOOD but we don't want to create food issues for them later in life. This was an issue for us. We just wanted him to eat more healthily, and he seemed to refuse everything except chicken nuggest and peanut butter and jelly sandwiches. Mealtimes became a battle of wills, and if it gets to that point with a toddler, parents have already lost. Just set the expectation ("If you eat 2 bites of this, you can have chicken nuggets", or whatever motivates the little one. Make meal times more fun! Toddlers love to dip food, see if you can disassemble a meal a bit, and have the little one dip part of it. Think toasted cheese "sticks" in tomato soup, veggies in ranch or hummus, quesadillas in sour cream. Cut foods into fun shapes - circles, triangles, hearts; depending on the food (and maybe your knife skills) the sky is the limit! Have themed meals. One of my favorite ideas to have come across is movie night with a themed meal! I admit, I have trouble coming up with largely varying ideas (SO FAR!) but it gets easier as time goes on. Work that creative side! Cars is always Nathan's movie of choice. We can make apple wedge "cars" with grape-half "wheels" (set on the plate to resemble cars). Baby carrots can be called traffic cones. Slice up some bell peppers, red, yellow, and green, and place in cups alongside one another to represent a traffic light (plus ranch, or something to dip!). You could even fold up some deli meat into a car-ish roll and slice some cheese into circle wheels. It might be silly but it definitely is fun. Have toddlers help make the food. This is not only to get them to learn what goes into meals (and thus be more likely to eat them) but also, down the line, kids learn to be more independent and helpful around the kitchen. KETO: Low Carb Diets and Plateaus. One of the most frustrating things about trying to get healthy is hitting a plateau. For those who haven't heard the term, a plateau in weight loss refers to the unchanging weight for an extended amount of time. As always, I highly recommend pictures and measurements over using the bathroom scale for progress. If you are building muscle, that weight could very well increase while you are trimming down. Here are a few things you can try to break out of your plateau. For the ketogenic diet, your daily caloric intake should be around 5% carbohydrates, 65% fat, and 30% protein. Adjust as you see fit, depending on your goals or personal experience with ketosis. Some people can consume up to 100g of carbohydrates in one day, while remaining in ketosis, and if you are eating 2000 calories per day, that is actually 20%. Especially while in ketosis, your body will quickly flush out water. Make sure you are drinking lots and LOTS of water each day. It's getting colder outside, and broth is really helping me - especially when I'm fasting. Fasting can be very beneficial. In my experience, it has helped me feel better after an "off" weekend (sometimes I consume a few carb-laden foods over the weekend). It helps put me right back on track and go into the work week feeling good again. Fasting, by definition, is consuming fewer than 10 calories in an hour. That means you can eat a pickle, or drink some broth, black coffee or tea if that's what you like. If you are okay with using sweeteners there are a number of sugar-free drinks to choose from (although, check my final list item on this topic). A fat fast is when you consume a total of 1000 calories per day, and 90+% of those calories come from fat. This can be a challenge, but it is a short-term plateau-breaker. You shouldn't have to have such a deficit for long. Good foods that are high in (the right kinds of) fat include: almonds, nut butter, macadamias, cheese, avocados, olive oil, cream cheese, heavy cream, and coconut oil. If you are already doing a regular workout routine, try switching it up. Add more strength-building exercises in if you generally only do cardio, or the reverse if you only ever do strength. If you are doing neither, try something active and get your blood pumping! Even if it doesn't end up breaking the plateau, you start to feel good after exercising, and it is great for your heart. If you are restricting your calories too much, it could potentially cause a stall in your weight loss. Rather than jumping off of the keto bandwagon, try consuming 200-400 more calories each day for a couple of days. See if it helps. If you aren't having enough water, or aren't quite hitting your macros, you might still be feeling hungry after consuming plenty of calories. And what happens if you eat more fat than your body will burn? It stops using your fat stores and stops losing you weight. So keep careful count (MyFitnessPal is great for this) and see what exactly you are eating. So you've tried all of these. You're hitting your macros, chugging water, exercising, you've tried fasting and even a few fat fasts and your calories are in check. Try to cut all sweeteners (even the "good" ones) from your diet. That includes diet soda, sugar free flavors in coffee, and many (many) low-carb alternative foods. I recently did this and it absolutely helped me. In fact, this is the first thing you should try, listed last only because it took me so long to try it. After removing sweetener from my day, I find that I crave fewer sweets. At first I didn't care for unsweetened coffee, and sparkling water had no taste. But after just a few days, I began to prefer coffee without sweetener, and I can hardly drink diet soda as it is so darn sweet to me now. Got any corrections? Questions or comments? Please let me know in the comments section! One thing I never tire of is seeing my son look through ("read") his books. Since I am home during the day, and my husband is up at an unnatural time in the morning, I am the one to put our son down for naps and bedtime. This means that I read through the books - a lot. I am constantly adding new ones to our collection. Here are a few of my (and my two-year-old's) favorites. 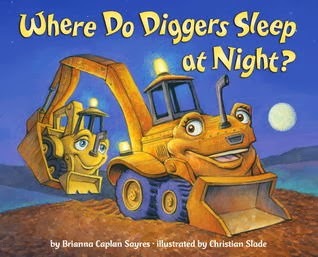 Quote: "Where do dump trucks sleep at night / After dumping dirt and rocks? Do they gather toys and dump them in a giant truck toy box?" 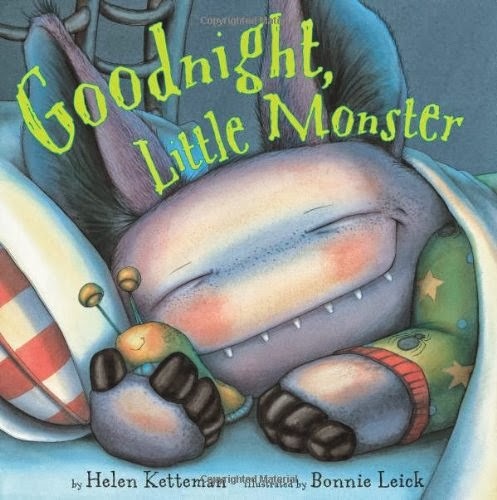 Quote: "It's dark little monster, bed time is soon. Come out to the porch to howl at the moon!" 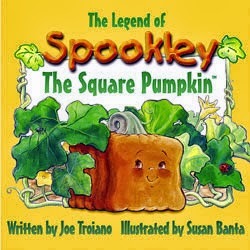 Quote: "One day in the pumpkin patch, the strangest little pumpkin hatched. Spookley wasn't like his friends, where they had curves, he had ends." Quote: "He slowly folds his boom back in, and then with one last sleepy grin, he tucks himself in nice and tight, then cuddles in and says goodnight." Quote: "Bump, bump, bump. Did you ever ride a wump? We have a wump with just one hump. But, we know a man called Mr. Gump. Mr. Gump has a seven-hump wump. So, if you like to go bump-bump, jump on the hump of the wump of Gump!" 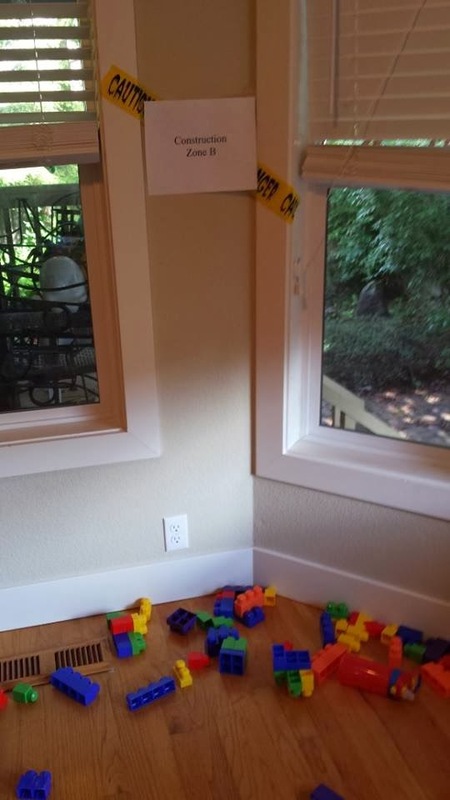 This year I really wanted to stick to a theme for my son's second birthday. As you may know, parties alone can be pricey and throw in a theme and you might double the cost! However, there are some ways to avoid breaking the bank on a party. Decoration was the easiest part for me - construction colors are basically yellow, orange and black. Streamers, balloons, whatever; easy to find in those colors. We also ordered 12 cheapo plastic "hard hats" as part of our party favors, they were on sale for ~$5! A little bit of caution tape and we were good to go. Since Nathan is still quite young, activities were simple fun things he enjoys doing - coloring and building with blocks. 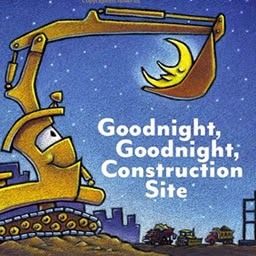 We printed out some construction vehicles coloring pages (loads of free designs you can find online), and for our blocks we designated a couple of "Construction Zone" areas for building. Mud and Dirt - Chocolate pudding with crushed oreos. Originally, I had all these grand, expensive, unnecessary ideas for his party. I saw all of the cute ideas many people had posted to various blogs, and I wanted to do MORE. I think by nature, people tend to be competitive. That is the case for myself, at least. Anyway, I knew I couldn't possibly do all of the little things I first wanted to, and so I trimmed my list down. I prioritized everything, and cut down quite a few extras. We didn't need individual sandboxes to dig around in (what a mess, anyhow). We didn't need each child to have a little construction vest ($5 each? Yeesh). And I rather liked how my homemade cake ended up looking, and it was much less costly than a professional cake. I guess the important thing to consider when keeping to a budget - figure out what you MUST do, and figure out what you don't mind skipping. Things like decorations especially seem like unnecessary costs. And here I go getting long-winded again. Thanks for reading! There was a time for a while that we were purchasing chicken every single week as our main dinner protein. We would rotate between buffalo-flavored chicken, spicy peanut chicken, plain soy chicken, barbecue chicken, and whatever else we came up with. We got sick of it all. That's when we found this recipe! Absolutely delicious. This got us through our uncreative grocery habits and onto more exciting meals yet again. Mix the seasonings in a small bowl. Rub this mixture on the chicken pieces to coat them well. Heat 2 tablespoons of the butter in a large skillet over medium heat. Brown the chicken on both sides, about 4 minutes per side. Add the cream to the skillet and turn the heat to medium-low. Simmer until the chicken is done, stirring the sauce occasionally and flipping the chicken over halfway through the cooking time. If you're using chicken thighs, this will take another 5 minutes per side. When the chicken is done, and the sauce has reduced and thickened, add the remaining 2 tablespoons of butter. Once the butter has melted, stir it into the sauce. Serve the chicken topped with the sauce. * Gina used 4 whole boneless chicken breasts. Like every year, around the time that it starts getting chilly outside I start craving pumpkin. Who doesn't? Well I tried a new pumpkin spice recipe this year and made two versions of it - one with Truvia and one with honey. I prefer the one with honey! I used little enough that my daily carb counts are down (2 TBS in the entire batch) and I don't get that artificial sweetener taste leftover. Also, this is super easy to make. I made this solely for coffee, but it can be used on many other things as well. *Here is a guideline on how sweet 1 packet of stevia is: the amount of stevia in 1 packet measures 1/2 teaspoon, which is about as sweet as 2 to 3 teaspoons of regular sugar. Whisk together all ingredients except vanilla in a small saucepan over medium heat; bring to a boil, then turn heat down to simmer and cook until thickened to your desired consistency (for me this usually takes about 20 to 25 minutes), whisking occasionally. Turn off heat and stir in the vanilla. Store the syrup in the fridge and use it to make pumpkin spice lattes, or a as a dessert sauce for topping oatmeal, pudding, ice cream, pie, etc. Once chilled, I find it’s best to re-heat it briefly before using again. Have you tried these recipes? What did you think? Last week, after a long plateau and a few attempts and overcoming it, we decided to go clean with our ketogenic diet. Looking at our daily intake, this was the only flaw we could find - artificial sweeteners. Sure, we might be slightly off in our macros on some days, but the overall trend is good. But those sweeteners - we hadn't realized just how big a part of our diet they had become. Diet soda, gum, low-carb tortillas, low-carb yogurt, basically any substitution for a "regular"(carby) food had a lot of added sweetener. So we quit the sweeteners for one week as a testing week. And it was great! I lost an inch around my hips. I felt fantastic. It actually was pretty easy after the first few days. How has this changed my daily diet? I now actually prefer coffee without sweetener (still can't do black though, blegh). I don't often eat those low-carb tortillas I had come to rely on. I really enjoy sparkling water. And I don't automatically crave something sweet at the end of the day! So, this is highly recommended. If you're like me, maybe it's not likely that you'll quit sweeteners for life. And that's OK by me - the important thing is making improvements and moving toward a healthier goal. For me, I will be avoiding an overabundance of sweeteners. Either way, I suggest you take a week off of them just to try it out. It is definitely worthwhile. 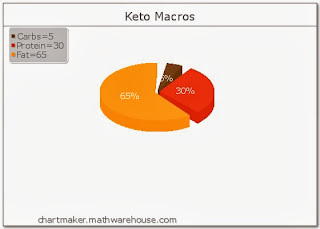 Original Post:My husband and I have recently (this past month or so) decided to go with ongoing low-carb/ketogenic eating. This entire back-and-forth, losing some, gaining it back, losing it again, is exhausting. This is a sustainable lifestyle - provided you take the proper precautions and know what you are doing. And we feel great on it! While it is to be expected as we approach our goal shapes, our slowdown in progress has really come to a halt. In fact, for several day I have felt outright bloated and almost like I was gaining weight. So we have decided to cut out all artificial sweeteners this week as well. That means no diet soda, no sweetener in the coffee, no low-carb tortillas, no gum! And more I forgot, I'm sure. I will try to update at the end of the week to see if this full-on clean keto helps our stall in weight loss. Time for some more low-carb recipes! This recipe is really simple, and a fun way to mix it up a little bit when you find yourself eating similar items time and time again! I can't tell you how many times we've had tacos for dinner. Anything we can do to spice it up while remaining in ketosis is fine by me. The lemon cheesecake is fantastic and easy to make. Be sure to mix thoroughly! I was lazy one time and left little cream cheese chunks floating in there. Still tasty, but changes the texture a lot (texture can fully ruin a meal for me). I was not paid to endorse this product, these words are my own. Affiliate link used. As Nathan approached the weight limit for our old high chair, I started thinking about what type of seat would be best to serve our needs. My biggest complaint about the high chair was how difficult it was to clean. Sure, the cover could go in the washer, the top tray could go in the dishwasher; I still had to dig into the numerous little nooks and crannies all over the place. So my biggest focus with the booster seat was it being easy to clean. 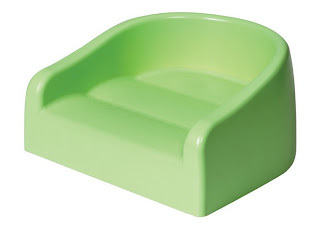 Enter the Prince Lionheart Soft Booster Seat. As soon as I saw it I knew it was the booster seat for me! I wanted to order it right away but held off on my impulse and went in-store to make the purchase. It has been a huge lifesaver for me! Not only it is incredibly easy to clean, but it is portable, reasonably priced, durable, and convenient. It has little grippers on the underside to keep it in place on a hard seat or booth at a restaurant, and the little edge keeps your toddler in place. This product also comes in a variety of colors to go with many decors. One thing I should warn you about, if you've got a giant kid: my little guy fit into this seat before he had learned to sit still. If he leans way over he can (and did) tip it. For a short while my husband and I had to scoot right up near him in case he made a break for it. This product isn't meant to wrangle up a wiggly baby! Just something to watch out for if you have to move your child into a booster when they are quite young. The reviews I present are my own words and thoughts, and are in no way impacted by an outside source. I post these because sometimes it is difficult to find unbiased, quality reviews on products, but I sure rely on them before making my own purchases. My husband and I have decided to return to our eating habits of ketogenic throughout the week, and whatever on the weekends. We strayed from this when we found ourselves overindulging every single weekend and practically breaking even by Monday with the weight loss. The problem is that we just shoveled food into our mouths and let the carbohydrates take over 2 days each week. The thing about sugars and carbohydrates (yes, I'm being redundant) is that they make you crave more of the same. Eating 200 calories of chicken would fill you up, while 200 calories of potato chips is just getting started! So, for the time being (possibly indefinitely) we are back to our low-carb living throughout the weekdays and focusing on keeping our weekends reasonable. Instead of just eating anything ketogenic and limiting carbs alone, I will be watching my calorie intake as well. That way, instead of losing 2 pounds in a week and regaining that with water weight alone, I might actually make some progress in those five days! The low-carb lifestyle is something that was previously quite a challenge for my family and me. Such a drastic change to avoid convenient filler items like bread and pasta. The restrictions alone seem to be complicated enough for a first-timer trying to get into a better body. After many ventures of eating low-carb for extended periods of time, it is pretty much just how we eat. It's not a struggle to come up with some food ideas, or to figure out my nutritional needs for the day. It gets easier; much easier. Over time we crave carbs less, and crave healthy fats and protein more! Even on my days or weekends off I still try to eat lots of vegetables and healthy foods. The reason so many people end up failing at dieting is because they are simply trying to diet, lose the weight, and go back to the way they were eating before. It's no surprise that if they do lose weight initially, they tend to regain it back - and sometimes end up even worse than before. The important thing to realize is that some changes will need to be permanent. There is a reason you are trying to diet, and that's because your normal routine isn't working out. Part of this is weeding through the misinformation out there. And there is a lot of it. On top of that, there are those who seem to be dead set on discouraging you. "It's just one slice of pizza!" or "You can work out tomorrow!" "You look good how you are!" Or anything along those lines. They might mean well but it is absolutely not helpful. Each time I finally make it back here to post I am amazed at how long it has been since my last. Two months?! Holy cow! Nathan is at an age where he is just absorbing and learning and going and going constantly. He is learning things like how to march and stretch from seeing us do p90x videos. He is learning words. My favorite thing is hugs though. Recently he's hugging everything - including countertops and windowsills! Hilarious. He will flop down onto a kitty and hug him until the kitty escapes. It's so fascinating to watch him explore. To see the world anew through his eyes is really amazing. And often times hilarious. While I took a shower today he discovered the toilet paper, and picked tiny little flakes of it off and scattered them about. He must have learned that one from the cats. Right now I am trying to get as much set up and accomplished as possible before I start going to school full time again. A relief to not worry about passing those A+ exams (expensive set of tests, they were), but I am still keeping busy! As far as our low-carb/keto diet, we are cycling through rounds of it at this point. We were doing p90x and eating reasonably, but switched to keto for the month of May. My progress in the low-carb diet is slowing down to a crawl, but this is to be expected at this point since I am within 20-30 pounds of my goal weight. I can never tell. The p90x routine is fantastic. I've managed to get through the most of it despite being injury-prone and I have a pretty weak knee. The important thing is compromises! I could do full-on 90-degree lunges and get maybe 5 before my right knee gets injured, or I can do 25 half-lunges and still get my heart rate up and a decent workout. I think many people see this workout as a huge struggle. And it is, truly. You just do what you can, and keep doing it. Push yourself to improve, but not to the point of injury. Keep logs of the reps you do so that you can see the improvements in strength - the appearances will take longer to show. And take measurements! And pictures! All of these will help when the scale and the mirror are out to get you. We have been all over the place this past few weeks. My husband has been off work for a short time, and we have have been very fortunate to get to spend all this time together as a family! It has really helped Nathan get some new and exciting play time, and since it's the three of us, we're more likely to go out and DO STUFF rather than hang out around the house doing the same old same old. I have been sacrificing the majority of my free time in favor of studying in order to get my A+ Certification. Once I am certified I will be able to start going to school to get my Bachelor's degree in IT/Software! 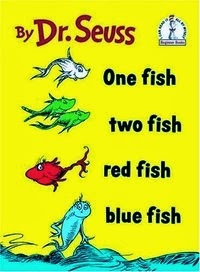 It is amazing just how different the mind (mine at least) works when you spend so much time at home with a little one. When I started studying again for the first time in years, I felt like I was in a true fog. Nothing was making any sense. However, it was temporary, and over time I have gotten back into the swing of learning new technical things. Thank goodness! If Jason hadn't been home, I wonder how much longer it would have taken me. We have been still working with Nathan on sleep training, and we are much further along now. It took some work to get Nathan unused to nursing/rocking to sleep, and I think the true culprits are his first-year molars. Still only 3 of the 4 have fully surfaced, and I can tell it's bothering Nathan quite a bit. Hopefully it's pushing its way through and we can be done with it (until year 2 molars, ughhh). So, anywho, that's where I have been! We have recently gone off of Keto short-term and are getting into the p90x workout. Oh my goodness! Tough stuff. Our plan is to get through most of the program, go back on low-carb for about a month right before Summer is officially here. Love it! Since the end of December, my husband and I have been eating low carb, save for a couple cheat days. I have lost just under 26 pounds since then! This morning I decided to try something new with our cauliflower, and the results were fantastic! I just kept adding spices and tasting the result, these are approximations of what I added. Your tastes may vary. Mash up the cauliflower and put over low heat on the stove top. Add the cheddar cheese and butter and stir until melted and incorporated. Add the rest of the seasonings, mix well, and taste the result. Add more of whatever it takes to make this dish great for you. Serve with a dollop of sour cream! Blend the coffee with the coconut oil, then add cream and sweetener and blend once more to froth up the drink. Fantastic way to get your caffeine and a high dose of fat for breakfast! 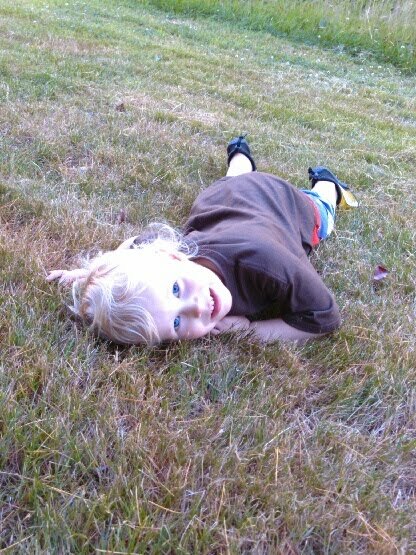 Very recently Nathan has started throwing mini tantrums. Pretty amusing actually, but I know better than to laugh. His initial version consisted of stomping around in an angry circle while flailing his arms a bit. Now it is more or less the same followed by him bending at the waist and putting his face to the ground, ostrich-style. Silly boy! He is throwing them all over the place too. Every time he doesn't get what he wants (intentionally from us or unintentionally) he's off again. He is quick to scream or cry, and our sleep training has taken a major step backward. I can likely attribute it to his molars coming in (agonizingly slow) as well as his recent immunizations. Just hoping for the best at this point. We often go on little walks and have Nathan hold our hands. For the past few walks, however, he has decided that the limp baby technique will get him out of having to be attached to us. When it doesn't work in his favor, and he gets picked up instead, he cries out. Sorry little guy, you're not running around freely in the parking lot! I realize Nathan is getting to the age where he wants more freedom and individuality, and I am trying to give him choices in order to have more control of his own actions. However, regardless of what I do, there seems to be a lot more crying these days. How did you guys make it through these types of days? I have put it off for quite some time, and now that I might soon be rejoining the work force it is time to get Nathan able to fall asleep on his own. We may need him in daycare, and they certainly won't be able to gently rock and sing him to sleep for up to thirty minutes, and then again when he reawakens a half-hour later. As much as I am not a fan of the cry-it out method (specifically the extinction form of it) I do believe at this point in his life any major change like this will bring some amount of tears. The first few nights were particularly rough, we actually tried pick-up-put-down method for a while. This worked alright for the first night. He kept getting to a point where he was hysterical, and it would be cruel to let him carry on like that. The second night, however, when I picked him up he might calm down - only to cry harder when I set him back in his crib. The first couple of nights I also resigned myself to singing and singing and singing. It's a wonder I had any voice left after that. By day three, my husband and I started making small adjustments that would work better in the long run. After all, I didn't want Nathan to require constant singing to fall asleep. We were ecstatic when Nathan fell asleep at bedtime (after crying through his entire nap) after under an hour of fussing! What a relief! Just the encouragement we needed to keep it up. Day four was rough again - but I expected it to take more effort with me in the room, as the one who used to nurse him to sleep. He did eventually fall asleep though, and that is an improvement over the day prior. As the week progressed, he cried for shorter periods of time. Build a regular sleepy-time routine. Same time every day for naps and bed time. Start this as early as you want! Children may not take to it before 4 months of age, but getting them used to it can only help. Consistency is key with a sleepy time routine. Ours is change diaper into PJs, brush teeth with a couple minutes of cuddling, storytime in the crib, and lights out with a couple of lullabies. It should be simple and in the same order each night. Ensure that your child is burning off lots of energy throughout the day. If they still have energy to burn when it's bed time, it will be more difficult to get them down. Make sure you have lots of play time and stimulating activities throughout the day. If it is nearing bed time and you think they still have too much energy, my little guy loves bath time before bed - burns off energy and is cozy warm! Make sure he gets enough food. I didn't even really consider the fact that my boy was used to nursing to sleep and throughout the night - therefore used to getting more calories through nursing. Now I try to give him a snack a short while before we begin the bed time routine. Do not react to his crying. The exception to this rule is when he gets hysterical. I won't ignore my child who is freaking out. After the first day and a half though, Nathan never got to this point. Once he was somewhat used to the plan, he would cry but not freak out. And this is where you must not react to it. It is to get your attention and play and stay awake, or to get you to nurse him back to sleep. My husband and I swivel the little chair around away from Nathan so that he knows we are there, but we aren't making eye contact. The first week could be rough. Lots of loud crying, screaming, and general noise. I definitely wish I had grabbed a pair in the first couple of days! Try to avoid starting a sleep training program when your little one is pushing out teeth or unwell. These are times when he will likely need extra cuddles and nursing sessions. If you can hold off a few days in these instances, I'd recommend it. Edited to add: One of the most disheartening and frustrating happenings during this is when all goes well for a few days and then -- BAM it's like we're back to day #1. This can happen because of teething, shots, sickness, overtired little one, and more. Through times like these, I find it's best to give extra cuddles and if they are truly upset (hysterical crying/screaming) then perhaps hold off for that day/night and try again the next day. You will be able to tell the difference between regular crying and hysterical crying. In my experience, the latter just seems to wake them up more so while simultaneously causing them to be overtired. Basically, they won't go to sleep like this. As part of my general list of resolutions, I am trying to build good habits in Nathan now. Easier to build them in the first place as the norm, rather than trying to have him relearn how to do things. Sleepytime routine - same things in the same order at the same time daily (naps and bedtime). Consistency is key. After 10 minutes of crying, 5 minutes of cuddles, then back into the crib. I hope that at some point in the next couple of weeks he will actually fall asleep during his crib moments. For now I suppose if I can just get him used to going into the crib awake without screaming, I will be happy. Other than that, I am really trying to instill in Nathan the habit of cleaning up after himself. Yes, it's a stretch to expect much at this age. It's more about him understanding the words "clean up" and doing so with me when I ask him to. So far it's hit or miss - he'll toss a few items in the toy box but then move on to other things. That's OK - it's something! Additionally, hygiene is important to us - I'm teaching him to brush his teeth on his own (and then I also do afterward, of course) and to wash his hands. The second one is a challenge, because I am currently in need of a step stool to get him up to the sink. So far I can hold him up and hope he goes for the running water. It's something! I suppose all of these revolve around building good habits with Nathan now. What are your goals with your children (if you have any)? As you may know, my husband and I are on a month-long (and then some) Keto-venture to start off the new year in the right direction! The main problem we've faced when attempting to go long-term low-carb is variety in our meals. Low-carb tends to mean that you must be cooking and prepping a lot more - most of that shelf-stable product is full of carbohydrates. So it is ever important to keep variety in your ketogenic diet. So it is time again for some more of the recipes we have enjoyed! I have a favorite meatball recipe that I use whether we are doing low-carb or not. It is based off of the Meatball Nirvana recipe on AllRecipes. The only changes I've made to adapt it to Keto are: remove the bread crumbs and add one egg and replace milk with heavy cream (might be able to try almond or coconut milk). 1. Preheat an oven to 400 degrees F (200 degrees C). 2. Place the beef into a mixing bowl, and season with salt, onion, garlic salt, Italian seasoning, oregano, red pepper flakes, hot pepper sauce, and Worcestershire sauce; mix well. Add the cream, Parmesan cheese, and egg. Mix until evenly blended, then form into 1 1/2-inch meatballs, and place onto a baking sheet. 3. Bake in the preheated oven until no longer pink in the center, 20 to 25 minutes. 1. Using a sharp knife, poke 10 or more holes in the spaghetti squash and microwave on high for roughly 12 minutes. If you hear a gradually increasing hissing noise from the squash then you should stop the microwave early, because it might pop open (big mess). 2. Carefully cut the squash in half and remove the seeds in the middle. 3. Scrape out the squash innards, which will come out resembling noodles. 4. I like to saute' the noodles in butter before adding the sauce. Cook on medium/high in a big pot (there will be a lot of squash) with the butter, just mixing a bit. Add the garlic salt and the spaghetti sauce. Finally, add parmesan. Combine these two and you have a lovely high-fat meal loaded with veggies! The spaghetti squash really surprised me with how many "noodles" really come from it. We always have leftovers! For this recipe, I used spaghetti squash again! They were on sale so we thought we'd experiment. 1. Cook up some delicious chicken breast in the oven - typically 45 min-1 hour on 350 degrees F (check instructions on the package). Set aside for now. 2. Cook the spaghetti squash as before - poke 10+ holes all over with a sharp knife and microwave on high for 12 minutes. 3. Make the alfredo sauce - melt butter in a pan on medium and add the garlic salt. Mix in the parmesan and cream cheese, followed by the sour cream. The measurements here are all estimates as well. Keep tasting the sauce to make sure it is good. If the sauce looks like it is separating, add more sour cream! 4. Cut up the cooked chicken, add to the spaghetti squash and stir in the alfredo sauce. We enjoyed this even more than using spaghetti sauce. Additionally, fewer carbs in this sauce than the spaghetti sauce. This one is less a recipe, and more of a combination. Steam up some cauliflower, cut or break it into smaller pieces, and cook it up with the corned beef you can buy at the store sans hash browns. I like to add onion and sriracha to this to add more flavor. Easy and tasty (if you like corned beef). The only part I skipped in this recipe is the crust - I was all out of coconut flour! Darn! I also cut back the sweetener to about 1/2 cup instead of 3/4. This was a huge HUGE hit for us. Fall may be over but I don't care! I love pumpkin. This recipe is easy and fantastically tasty! With the fresh made whipped cream on top, it is no different from a regular dessert in my opinion. Fantastic. I will make it again, and I will try to hold off a few days before doing so. This doesn't qualify as a recipe, or as "making" anything, but we recently discovered Dove's Sugar Free Chocolate Creme Candy. These are very good! Don't have too many if you are trying to stay in ketosis - I think 5 pieces is a serving size. I would have one in a day, to be safe. Well I hope everyone is doing well on their resolutions! I apologize for there long gap in posting. Everything is great and I have just been quite busy this whole time! Actually, I have been going in so many different directions since I last posted that my blog only seemed to cross my mind at the least opportune times. Anyhow, here we go! 2013! Who made resolutions? One of my main resolutions is to get to my goal weight/body shape, and then find a compromise between low-carb and 'regular' eating in order to maintain that weight. Step one is being on keto throughout the monthly of Fanuary and into February. So far we have loved it! I will be posting some new low carb recipes that we have enjoyed. Otherwise, many of my goals revolve around Nathan - teaching him and building good habits. I cannot believe how big he is! This past few weeks he learned new things constantly!. I want to keep that in motion, of course. My main course of action is to keep him in new and exciting surroundings fairly often. This cold weather hinders that goal a bit, but we make it work and it will only get better once the weather cooperates. Ever since I started my maternity leave, I have found myself devoting more and more time toward Nathan and my husband Jason. To a fault. In trying to take care of them I have let drop many friendships. Having a child drastically changes your relationships with everyone - and sometimes friends without kids do not understand. Another of my resolutions is to step it up and make the effort to reconnect to people outside of my household that I've missed. This is just a basic rundown of my goals, but soon to come will be more!